To help with speed restrictions. Carparks, Housing& Industrial Estates, Construction Sites. Camping and Caravan Parks. Parks. 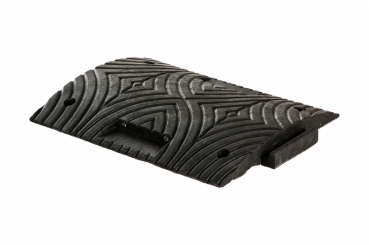 Manufactured from heavy duty recycled PVC rubber. Yellow & Black segments for early visual warning. 50mm height to apply speed restriction of 16 km/u. Bolt down fixings for easy installation. 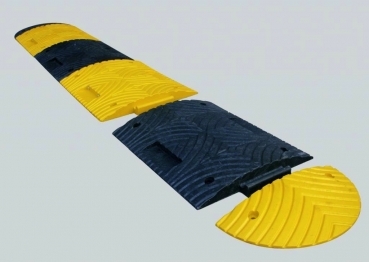 Supplied in 500mm lengths (half black & half yellow), each segment 500mm. 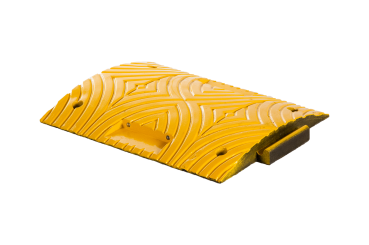 End caps supplied in pairs, each segment 250mm.